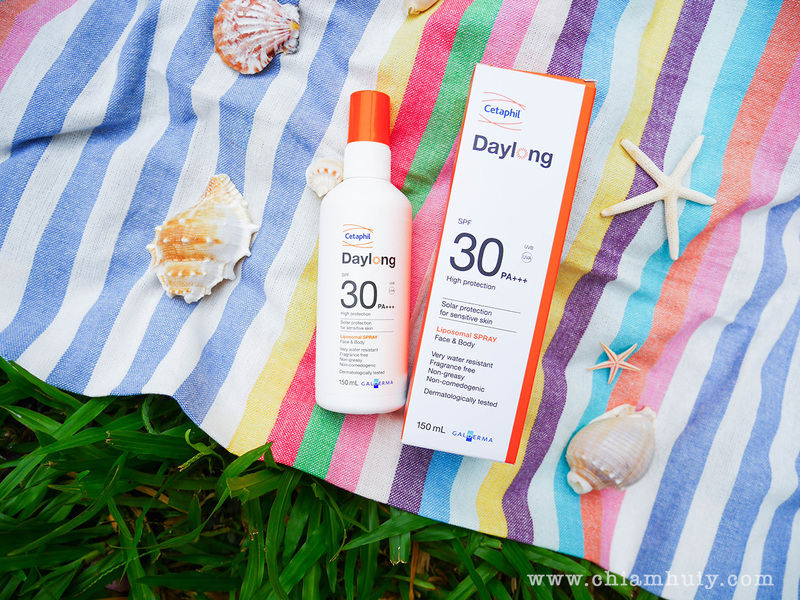 If I really have that one skincare that I can't live without, it is DEFINITELY without doubt sunscreen. I am a strong believer of prevention and protection, and I will never give myself a chance to be sorry when sunburnt and skin peeling get to me. 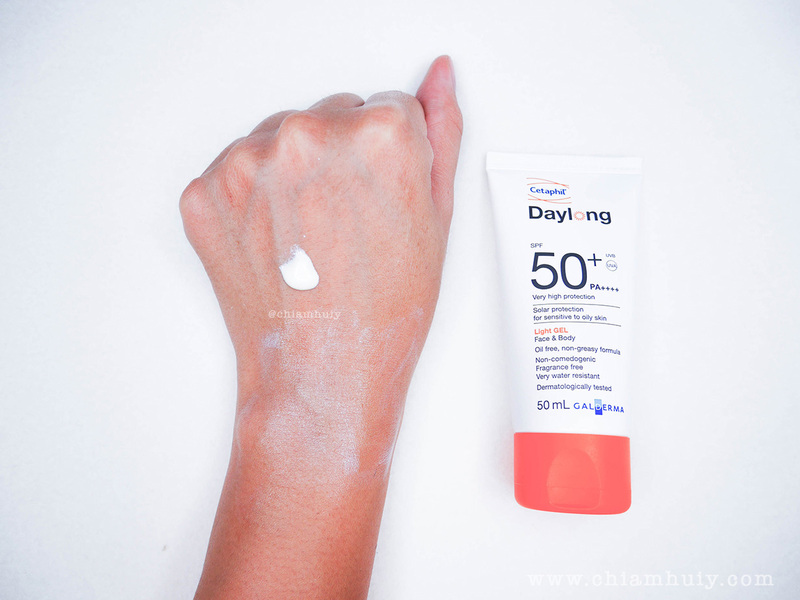 I would slather layers and layers of sunscreen and if the weather is really hot, I would even reapply every hour or so - all because I know the importance of sun protection. Skin cancer can take twenty to fifty years to surface, which may be why people have a blasé attitude towards it. We are unaware of it now, but it doesn't mean our skin is not suffering. Daily exposure to the sun’s UV rays ages the skin prematurely, resulting in uneven skin tone, dark spots and fine lines. This does not only apply to our face, but also to our other body parts! In case you are unaware (like me), Singapore is known to have one of the highest Ultraviolet (UV) indexes in the world; which puts Singaporeans at great risk for sun-induced illnesses. Standing unprotected against the scorching heat of the equatorial sun is like standing in a microwave and yet many Singaporeans fail to take proper precautions. This pervasive nonchalant attitude towards sun protection has contributed to a rise in the number of skin cancer cases and other sun related illnesses. Skin cancer can be caused by excessive exposure to harmful UV rays from the sun and according to the National Skin Centre; the number of such cancer cases here has risen by about 60 per cent in the past decade, placing it as the sixth most common cancer amongst men and women in Singapore. 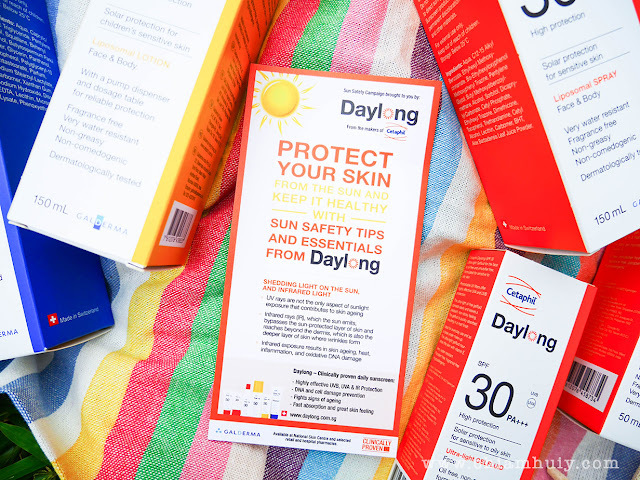 Okay, this information that I got while drafting this post is getting me worried about my sun protection! 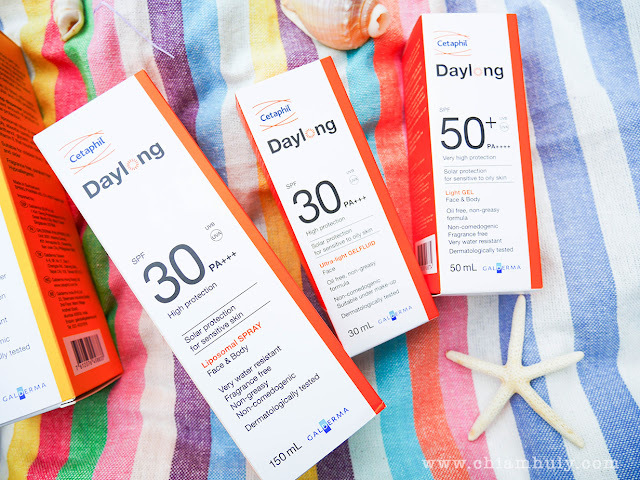 I would say Daylong Sunscreens are generally affordable, coming from an expert dermatological company, and they ranges around $30 - $40. They are all fragrance-free, very easy to spread and pretty lightweight. The sunscreens are either SPF30/ PA+++ or SPF50+/ PA++++, and all of them have effective broad spectrum filters to protect you against UVB, UVA and Infrared radiation (IR). 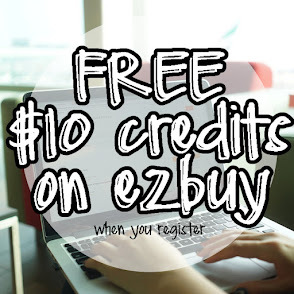 Free from parabens, hypoallergenic, non-comedogenic and dermatologically tested, let's find out more about each and every one of them! Let's just say a spray sunscreen is always a good option because you can easily spray on those hard-to-reach areas. This is actually my favourite because it's the most fuss-free and easy to use (spray). 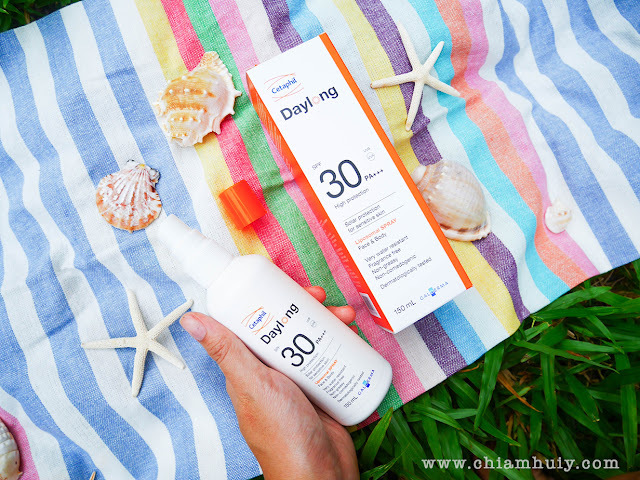 I like the fact that it's very lightweight and it provides the minimal protection with SPF 30 PA+++ properties. 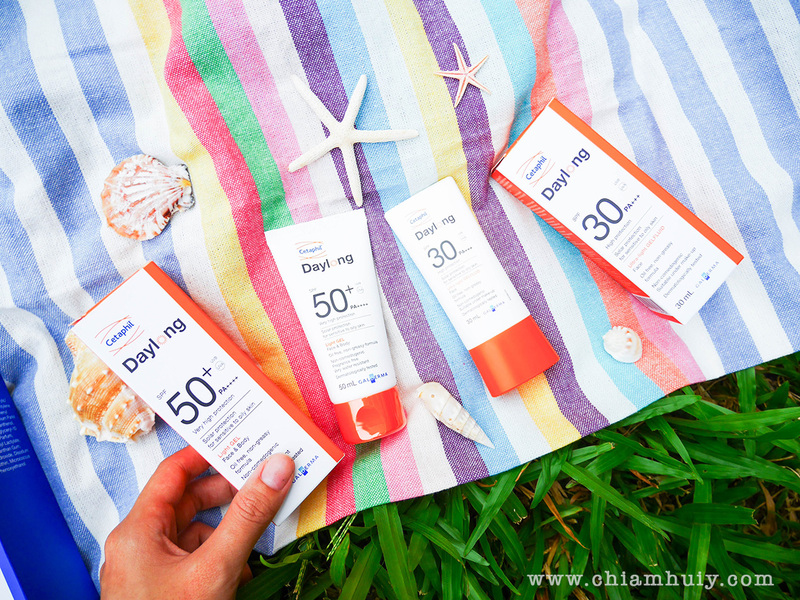 However, I do prefer it to be SPF50+ so that the protection will be slightly more thorough! In this case, I just have to make sure that sufficient quantity is applied adequately protect myself against the sun. The only reason why we hardly get sun burnt in Singapore unlike when we are overseas, is because we hardly stay outdoors. When overseas, you tend to be walking around under the hot sun because you are a tourist. This may give you the misconception that you skin is not exposed to UV damage in Singapore, but the truth is it is - it is damaging your skin every single second! 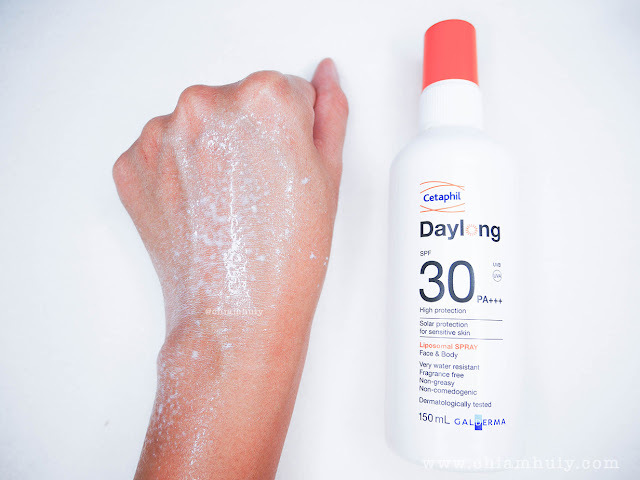 Which is why if I have the time, I would apply sunscreen using the Daylong Spray Lotion. It's now easier to apply on the back of my shoulder with this spray function. Mainly for the ladies, the Daylong Face Gelfluid can also act as a makeup base! My daily regime includes my skincare, followed by the sunscreen and makeup items. I always don't have the time for an extra step of primers and makeup base, so this product definitely saves me a lot of time thanks to the dual function! 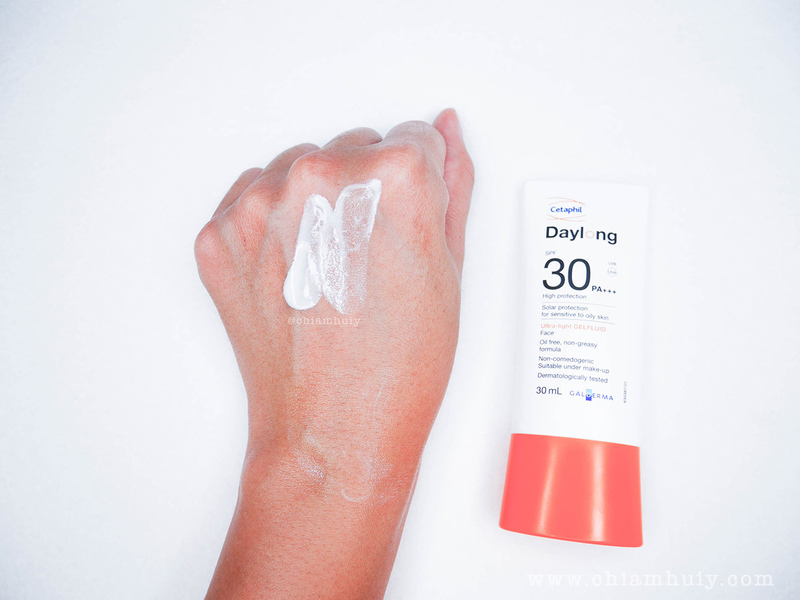 These days, I've also been incorporating the Daylong Face Gelfluid after my skincare regime in the day and before I put on any makeup. 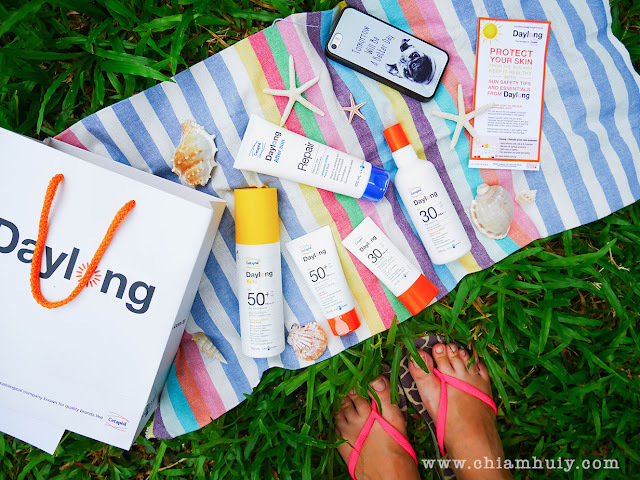 If there's any skincare items that it is the most essential, it definitely has got to be sunscreen. I honestly do not want any freckles and dark spots appearing as I get older! - Water resistant - Matt Finish - Contains Vitamin E Although not as watery as the Gelfluid, this Daylong Face and Body Gel is also watery enough for easy application on the skin. Very light weight too! 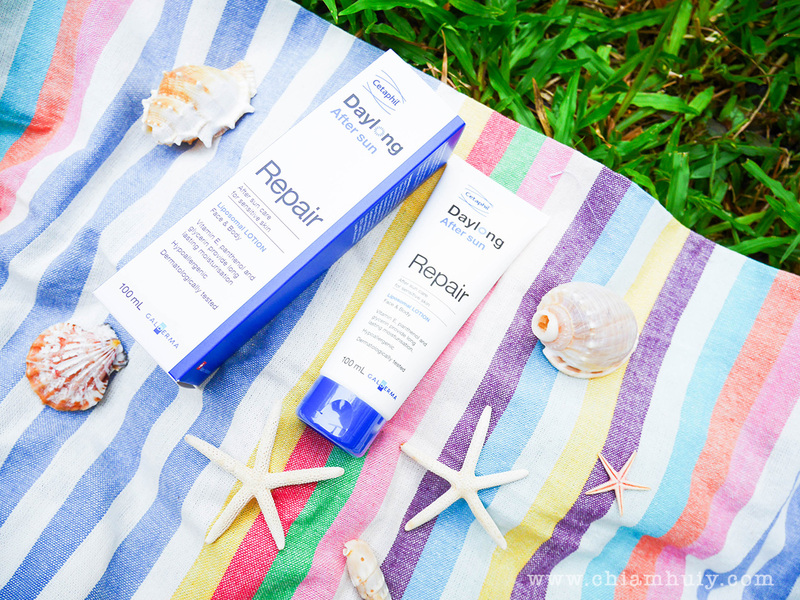 Most of us tend to forget about moisturising our skin after a long day out under the sun. Not only will our skin be exposed to harmful rays, it will also lose moisture continuously over the day. 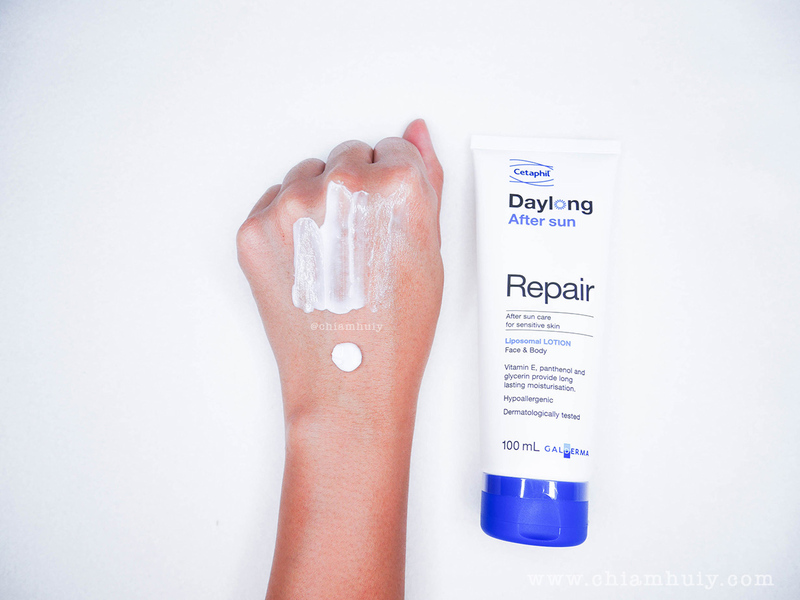 Which is why, it is very important to moisturise the skin and give back the moisture it loses with Daylong After Sun Repair. 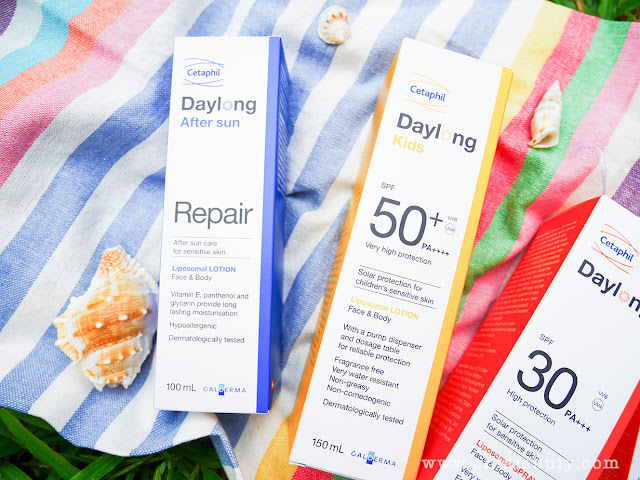 Daylong After Sun Repair contains encapsulated DNA repair enzyme ‘Endonuclease’ that actively supports the repair-mechanism of the skin, maintaining healthy and youthful looking skin. It is hypoallergenic, free from parabens and comes with a light scent, which didn't bother me at all. When applied, it's really smooth and light! After thorough spreading, the lotion gets absorbed instantly, it doesn't feel sticky at all. In fact, I am very impressed by the lightweight texture! 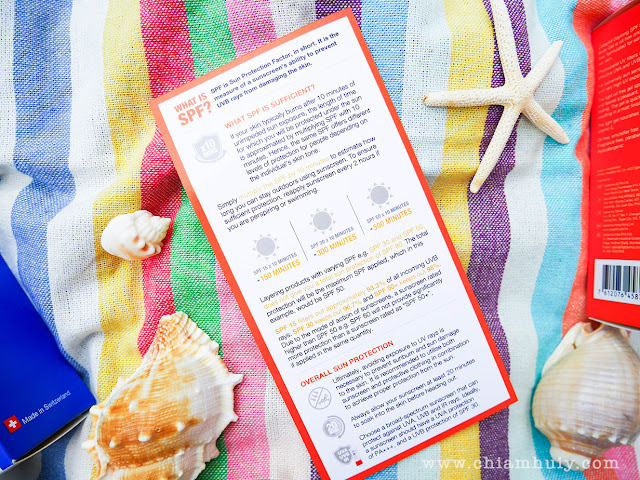 I hope this post has informed you well the importance of sunscreens for our skin! There are many kinds of sunscreens that fit different needs and skin types, so do your research well before you purchase too. 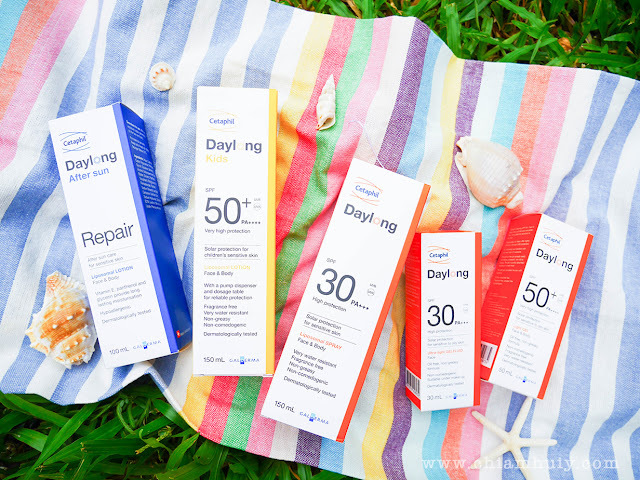 Head over to Daylong facebook page to find out more about Daylong Sun Protection Range!